Traditional lugged steel frame, Brooks honey saddle, metal chaincase, cork handlebar grips, silver lined mudguards, Sturmey Archer 3 speed. The old one's are the best. Pashley bicycles are handbuilt in Stratford-upon-Avon, as they have been since at least 1926. That's amazing when you consider that famous British brands such as Raleigh, Dawes and Claud Butler no longer manufacture a single bike in the UK. 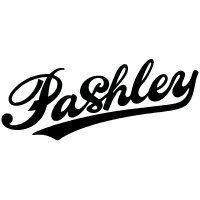 If you are uneasy about globalisation and would prefer to buy local, consider a Pashley. Sometimes you have to wait for the good things in life. Pashley bicycles are not mass produced. Every one is built to order. This means that we do not hold stocks of Pashley bicycles, bar the display bikes in our shops, which you are very welcome to come and admire (and test ride even) but which are not for sale. This means that if you order a Pashley from us, you can expect delivery around a month later. As with any edinburghbicycle.com order, we will keep you informed of its progress. Features The Poppy features a traditional lugged frame and three speed hub gears with metal chaincase, silver lined mudguards and leather sprung saddle. This weight is based upon one of these bicycles weighed in the 20" size. We weighed the complete bike as you would receive it, complete with pedals and EN / BS-approved reflectors and bell.